For a warm, cozy and unique bathroom retreat, utilize the living room decorating code. Have you ever found your kids toys in the bathroom? or your little girl digging in your stuff? The children already use your bathroom as a living space, why don’t you?! For a warm, cozy and unique bathroom retreat, utilize the living room decorating code. Accessorize it with framed posters and planters filled with a lot of greenery! If you have a window, add curtains where little monsters can hide and seek. 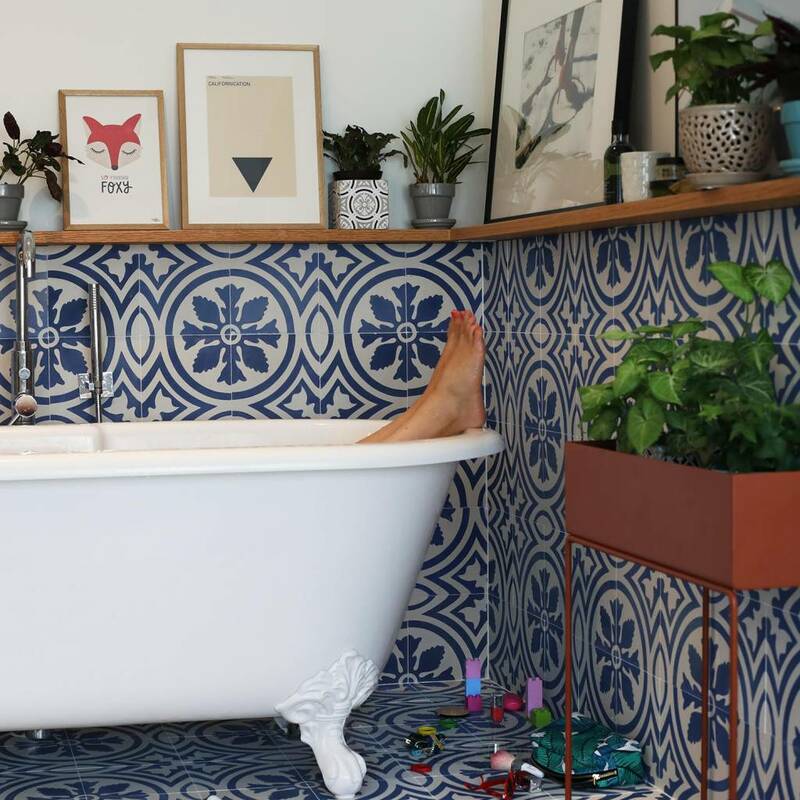 Light your favorite scented candle with your bath when you want to (try) to relax… Here I choose cement tiles for the soft "touché" of color, forming my own oasis! And, laying in my freestanding bathtub, I’m a princess from another time.